"Holding the local media, personalities and institutions here in Luzerne and Lackawanna Counties responsible for their collective pomposity, hypocrisy and foibles is something long overdue. This is our challenge!" It's a MySpace site devoted to all things past and present that have to do with GAR Memorial High School in Wilkes-Barre. This is for everyone that attended or graduated from GAR High School. If you know anyone else that went to GAR, pass this site along to them. All students, faculty and administration, past and present. If you are not associated with GAR High School as a student, teacher, administrator, staff member or alumni, please do not make a friend request. If you have family or friends that attend, graduated from or teach at GAR, please let them know this is here and if they have a myspace page, invite them to join us. You may be able to help a graduating class find a few more alumni for a reunion! We've gotten several notes saying thanks for helping me reconnect to an old friend. This page was set up to help people reconnect to old friends and teachers and keep people updated on what's going on at GAR. Once school is back in session, sports schedules and activites will be posted, so be sure to keep us updated on what's going on. I am the Dean of the new medical school that will serve all of NEPA. I would invite you to link to my blog and follow our progress as we build this new community based endeavor. We are interested in hearing from the community about their ideas, needs and how we can serve the region. In the coming months I will share with you what it is like to build a new medical school from the ground up in a region that hopes the school will help with economic development, relieve the doctor shortage, help improve quality of care and a host of other goals. The expectations for our little school are enormous. I just started two weeks ago so this is all very new. Today it is all only on paper and everything is possible. Which is a good way of saying every single thing still needs to be done. Feel free to share your ideas about health care and medical education. We want to create something unique here. While we have to be mainstream enough to achieve accreditation from the multiple bodies that get a vote on our future we also want to create a new national model for the education of physicians. I have never blogged before and am both hesitant and challenged by the medium but I do want to hear what people want from their doctors. I also want to hear from physicians, medical students and residents about what they wished they had known, what schools should teach and how we might improve the educational experience. I know we do a good job with the science education I want to hear what else we should be worrying about. I know I can learn something from our conversation that will make our school better. 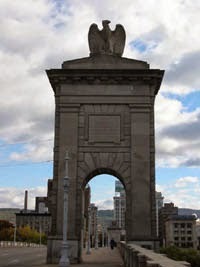 Shadowspun over at Shadow's Reach has put in a lot of effort getting together a list of all the candidates who will be on the ballot for the Scranton district of Lackawanna County. If you reside in that fair city, go over and have a look! Through a long and winding road that goes through a blog in Ann Arbor, Michigan, another NEPA Blogger has found her way to this site! Her blog is Life's A Dance You Learn As You Go, aka http://star8278.blogspot.com . Welcome aboard! I'll add you (and everybody else) to the sidebar as soon as I get to it and/or my computer allows me to! I've been neglecting NEPA Blogs for too long. Lots of other stuff going on, as well as my constant computer problems. Internet Explorer just crashed as I was trying to access the emails that I've received with updated information, but I'll try to squeeze out what I can. Hi there. I just wanted to send you a quick message as I see my blog is listed in the list of NEPA Blogs. Can you fix the URL as it currently comes up with an Error. I'll try to update that as soon as I can. I'm just hoping I can post this without crashing! 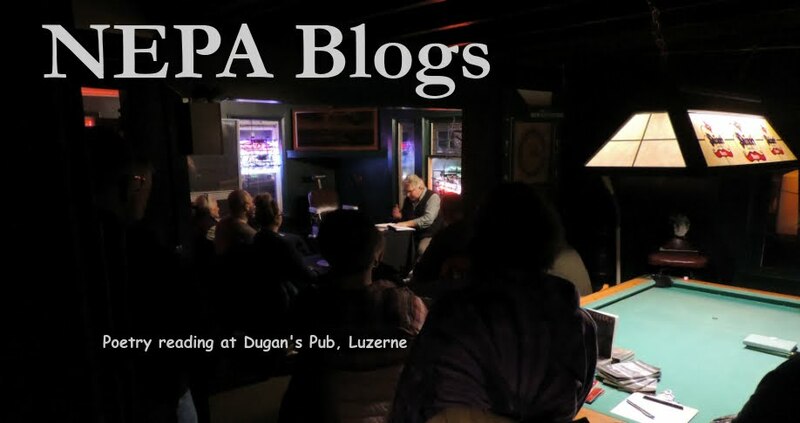 I noticed your NEPA blog site and wanted to introduce myself. My name is Kevin Blasi and I manage two blogs and a website for my company. I am a local Mortgage Specialist and would very much appreciate a link from your website. I manage http://explaintome.blogspot.com/, which is a blog directed towards consumers to educate them about the mortgage process and credit reporting. I also manage http://www.activerain.com/kblasi, which is a professional blog directed towards other professionals in Real Estate related fields. What I would appreciate more than anything is a link to my company website: http://www.nepamortgagetips.com/. We are a mortgage brokerage company located in Dunmore, PA. We specialize in helping people attain financing to buy homes and businesses here in NEPA. Beale's Bites and Pardon My Zinger have bought the farm. No updates in OVER a month and a half. No. No. No. I can't believe that. No. I won't take them down. Hell, I just saw Howard Beale on TV - it took someone in the industry to clear up just where that name came from. It's weird to watch Network and hear the name "Howard Beale" tossed around. So I'll be adding all these to the sidebar eventually. Right now I've got my fingers crossed (which makes it difficult to type) hoping I can post this without crashing. I know Wilkes-Barre Online has some new sites I should add, too. If anybody has any new NEPA blogs or sites they think I should list, especially ones you've already mentioned that I've overlooked, please let me know. Thanks! Via a comment and an e-mail here are two more local sites, neither of which explicitly deals with politics! A site by David G. Smith of Scranton. "This site has been developed to discuss a wide variety of topics revolving around acquisition, maintenance and development of surveying, mapping, and GIS data and applications." Don't be intimidated. Check it out! He's got some really cool stuff there! GoPoKo - "Changing the way you view NEPA"
From the webmaster: "GoPoKo is a small company that promotes local bars and entertainment in Northeastern Pennsylvania." Lots of links for local entertainment. Things to do when you're not reading NEPA Blogs! 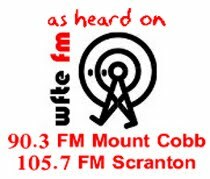 I just read about this site in today's Wilkes-Barre Citizens' Voice, though the Pittston Sunday Dispatch did an article back on March 4. 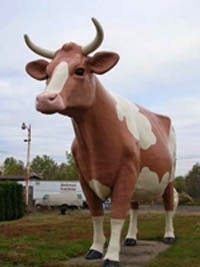 It's a site all about Duryea, PA, called duryeapa.com. Background on the site is on the main page, and click here for the site's contents. I'll be listing this in the "Sites About NEPA" category. 2006 Republican nominee for the 11th Congressional District Joe Leonardi has started blogging on the state of the Republican Party and he's not happy about it judging by his first post. Why am I writing a blog? Because people in the real world won't listen to to me, no matter how many bells I ring or sandwich boards I wear. I think that's why we all do it. That and our letters to the editor aren't published or chopped up beyond recognition. Let's hope this one sticks around. A new site link has been added to the "Sites About NEPA" section of the right-hand sidebar: Harvey's Lake History. It's full of history, myths, legends, stories, and photos. Check it out! Thanks to Matt Petrillo for the link. During my template tinkering last weekend I also added a SiteMeter for NEPA Blogs. It should be set so anyone can open it and look at the statistics and details. If you can't, please let me know! A referral on the SiteMeter pointed me to another local blog, mespace.net. Based out of Forty Fort, the author has a lot of cool photos from around the area. Check it out! Welcome To NEPA's Real Deal! We have a team of political experts and muckrakers working round the clock to bring you the most up-to-date rumors and innuendo going on in the NEPA political scene. I hope this one lasts. I'm feeling jinxed because everytime I listed a site lately the author stops posting. Help us out folks. Me and DB are going through the sidebar to identify "live blogs" that we will highlight again and will delete the "dead blogs" that haven't updated in a while. 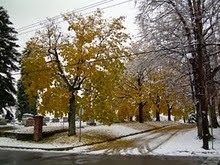 I've decided to dress up the site with seasonally-appropriate pictures. If anybody has photos from around NEPA that they'd like to have displayed on the site for the appropriate season, please let me know! 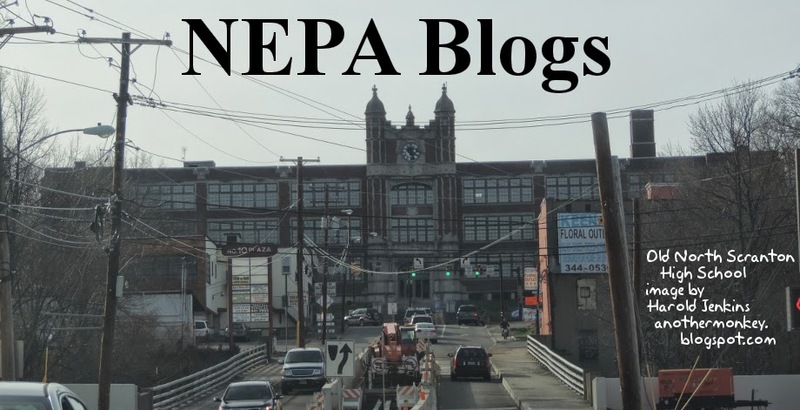 A bold new look for NEPA Blogs! ...almost exactly the same. Oh, well. If anybody has any suggestions on the template (suggestions that do not require any degree of html competency), please let us know! Thanks! I'm on the verge of changing the template of NEPA Blogs to something new, since only the new templates make full use of all of the features of the new Blogger. I will have to copy over the entire sidebar of links and any other customizations. This is no big deal, but I believe that some of the links are currently dead. I'm not talking about sites where there hasn't been an update in a few months, I mean sites that just don't exist anymore. Unfortunately , my poor little old PC would definitely crash before I made it through the entire list to check them all myself. So if anyone out there is aware of any dead links on the sidebar, I'd appreciate if you left a comment so I could do some pre-template-switch housekeeping.